Every year the mayor and councillors of our village arrange a Christmas meal with entertainment for the old folk. Bear and I used to go but for the last few years he hasn’t been able to get out easily or manage to eat the vast quantities on offer. 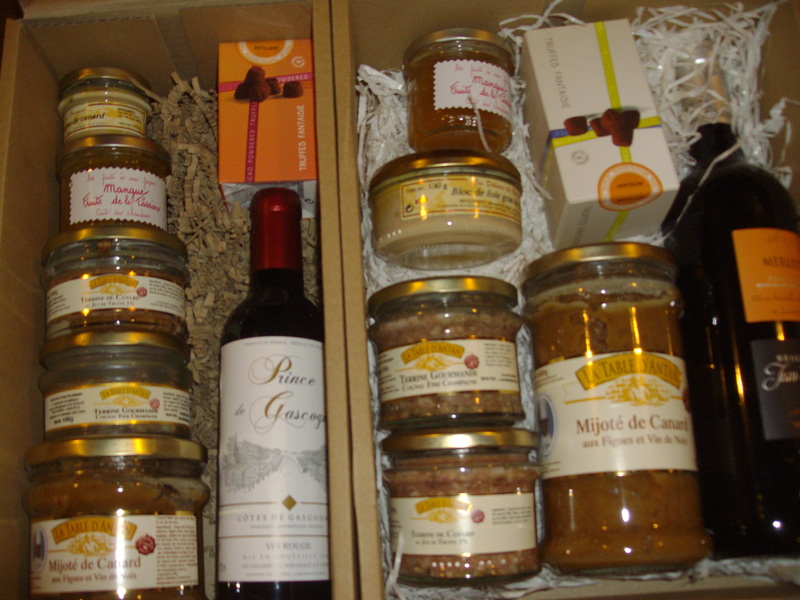 For those who can’t make it to the meal there is the option of a hamper, delivered to your door. This year we received two parcels – one for Bear and me and one for the Whale. Each contained red wine, foie gras, terrine of duck with brandy and terrine of pork with truffles, mango and passion fruit preserve, chocolate truffles and a jar of duck ‘stew’. Seems pretty generous don’t you think?